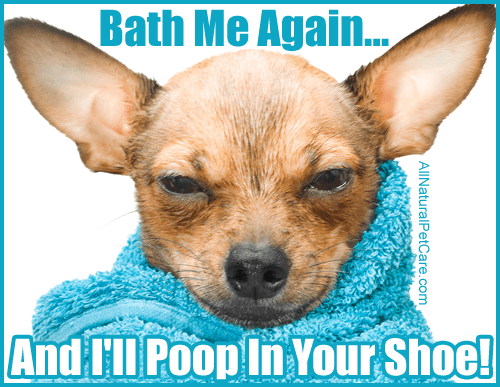 If there’s one wish that dogs and their guardians share, it’s “no more baths!” Unfortunately, dogs often need to be bathed whether either of us like it or not. We can take them outside in the Summer, but in the colder months it often means the dreaded bathtub. By the time the dog is clean, you’re both drenched and miserable. Taking your best friend to the groomer is an alternative solution that is expensive, inconvenient and time consuming. Plus, a groomer isn’t always an option for emergencies. You can give the gift of carefree baths with the innovative BarkBath™ Portable Dog Grooming System. Your family and friends will think of you and smile every time they quickly bathe their dog with ease. There’s no fighting with your dog to get them in the tub, no dirt and water everywhere, and no bill to pay when it’s done. What’s more, this “green” bathing solution drastically reduces the water consumption involved with bathing a dog, taking it down from gallons to 40 ounces or less. Even large dogs or long fur isn’t a problem for BarkBath™! Fill up the BarkBath™ with clean water and a bit of dog shampoo. Use the patented nozzles get beneath the fur and down to the skin. Water and shampoo washes the skin, while soft suction pulls dirty water and odors into a separate water tank. The no-rinse shampoo formula leaves your dog’s coat clean and fresh. No matter where you are, as long as you have access to water you can bathe your dog with virtually no mess. Plus, if your dog made a mess on floors before you bathed him, the BarkBath™ can be used to clean it up too. 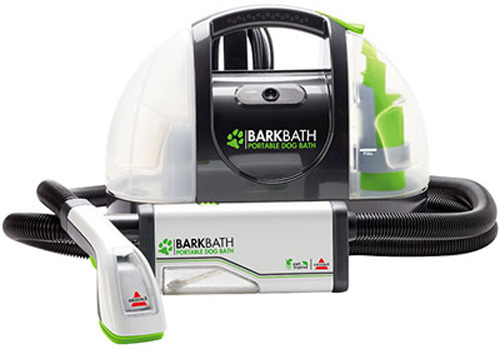 Truly a gift that keeps on giving, the BarkBath™ has our vote for a perfect pet present!